The head of the National Institute on Drug Abuse said there's no evidence that marijuana weans people from opioid addiction - and promoting such treatment might deny people a chance at recovery. 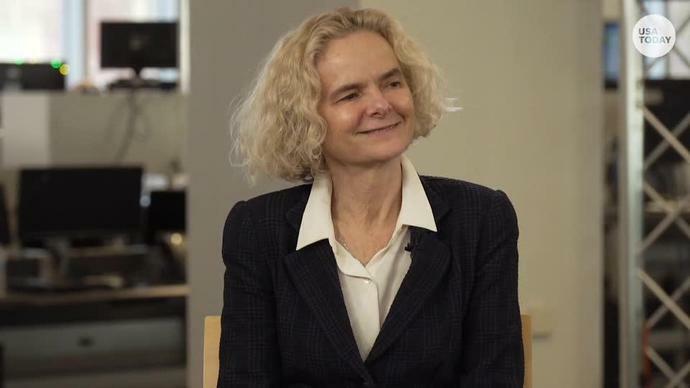 "If you don't treat it properly, your risk of dying is quite high," Volkow told the USA TODAY Editorial Board in a wide-ranging interview. "My main concern is by basically misinforming potential patients about the supposedly beneficial effects of cannabis, they may forgo a treatment that is lifesaving." "I'm not saying it's not possible," Volkow said. "Like anything else, we do science in order to determine and provide the evidence of whether it's effective or not." About 47,000 Americans died in 2017 from overdoses of heroin, fentanyl and other opioids - a "public health crisis of almost unprecedented scale," said Alan Leshner, chair of a study issued Wednesday on medication to treat opioid addiction. President Donald Trump is expected to tout his fight against opioid abuse in remarks in Atlanta on Wednesday, a day after his administration brought its first related criminal charges against a major drug distributor and company executives. America's opioid epidemic, especially damaging in rural areas where Trump is popular, has been a focus for the Republican president. Little has come of Trump's calls for executing drug dealers, but on other fronts the administration has taken some action.